James L. Conner II - Mediator & Arbitrator based in Durham, North Carolina. Please click your preferred available date to submit a request. Your Appointment Form will be sent to Jim's assistant, Christine Paone. 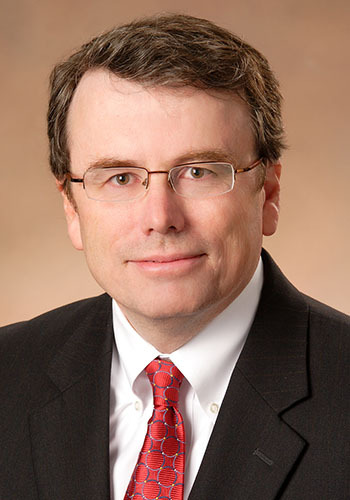 Jim is one of the few mediators in North Carolina who combines substantial experience on the bench (six years) with a currently active civil litigation practice and over 15 years of mediation experience. Intentionally varying his practice over the past 26 years, Jim has represented virtually every type of client. He has regualrly represented plaintiffs, defendants, petitioners, and respondents. His clients have included Fortune 50 corporations, individuals, small businesses, citizen groups, and local and state governments. He has appeared before every level of North Carolina court, the federal courts, the Office of Administrative Hearings, the Industrial Commission, and many Boards and Commissions. This variety of practice gives Jim insight into the perspectives of a wide variety of participants in the mediation or arbitration process, aiding understanding and increasing the chances of resolving cases. Jim will travel to your location, but can also host your mediation or arbitration at his firm's offices, where several conference rooms are available and refreshments are provided. Mediation of all types of civil disputes, with an emphasis on environmental matters and other complex cases. Representation of clients before all courts in environmental law matters, health care provider matters, other administrative and government law matters, and general commercial litigation. $275 per hour of mediation time; $275 administrative fee. No charge for travel within greater Triangle area (Wake, Durham, Orange, Johnston, Chatham, Granville, and Person Counties), New Hanover County, or Buncombe County. I welcome cases in other areas. Travel to counties other than those named above will be charged at $75 per hour.